Often, when one hears music, there are two aspects the listener can appreciate: the instrumental technique and the sounds it produces. The tricky part with electronic music though, is that since everything is synthetic, there is greater attention paid to the artistry. 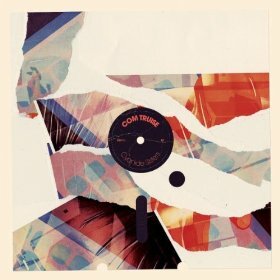 On Cyanide Sisters, the latest EP from Com Truise, some tracks rise to the occasion while others buckle under the pressure. The main flaw of this album is that many tracks fail to flow and grow in a logical fashion. The opening title track starts off with a solid, powerful beat but then degenerates into a mess of sounds that seem to be thrown together at random. Others, like the second track, “Sundriped,” begin with a pleasant, trippy intro but don’t really go anywhere. The good news is that the ones that don’t fall under this category really hit it out of the park. “Slow Peels” has a pump-you-up beat worthy of a Rocky montage while also maintaining a free-flowing sound that’s almost hallucinogenic. “Iwywaw” almost falls into a boring, repetitive trap, but is saved by a head-spinning coda that sounds like it’s underwater. Best of all is “Norkuy,” found right in the middle of the album. It is haunting and beautiful, starting off dark and brooding, then growing funkier and more complex as it goes on until the sound unwinds and cools down at the end. As an album, Cyanide Sisters is not great, but certainly not bad, as even the disappointing tracks have their positive moments, and the highlights are very high indeed.